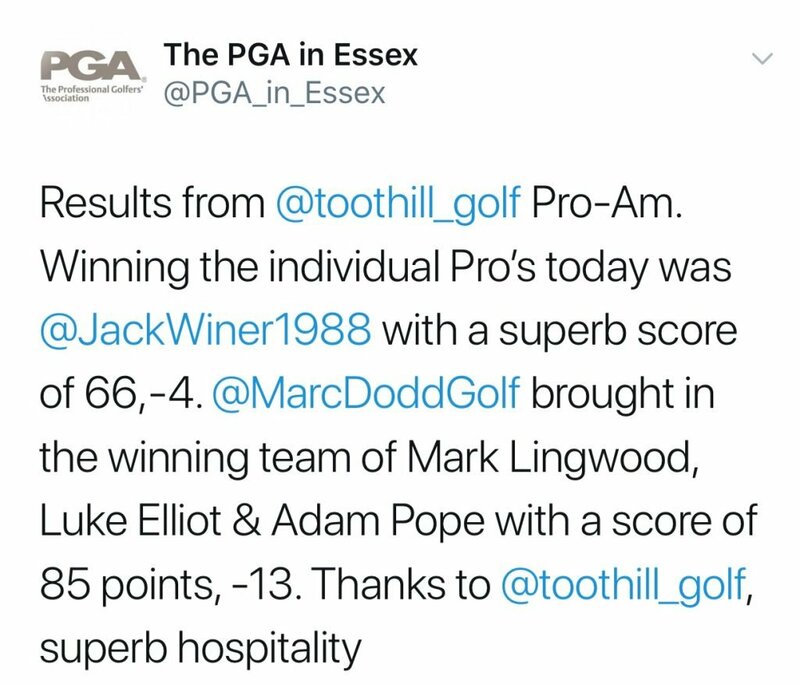 One of the flagship events on the PGA Essex schedule was held at Toot Hill Golf Club on Friday 22nd March. 32 teams took part 32 Professional all fort for the £2,000 purse. The day was cold but the course was superb. Tees, fairways and greens all in immaculate condition. Our PGA Pro Jack Winer got off to a rocky first hole (the 11th) having to make a 12 foot putt for par after a poor wedge into the green but got back on track nearly holing his tee shot on the island green signature hole 12th. 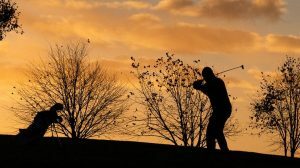 He went on to make a further 6 birdies, carding four 2’s out of the five par 3’s to card a -4 score of 66 and to take victory at the Toot Hill Pro Am by 2 strokes to the ever steady Rob Coles (former European Tour player). scorecard for Jack Winer from Toot Hill Pro Am.